Just north of Highway 401 situated on a 79 acre site is a 1.3 million square foot distribution centre that will soon be the new home of Lowe’s Canada. This state of the art distribution centre was formerly the regional distribution centre for Target Canada. Target’s departure from Canada earlier this year made it possible for Lowe’s to meet their expansion needs within Milton. Lowe’s has been part of the Milton community since coming to Canada in 2007 and their new distribution centre, located at 8450 Boston Church Road will provide Lowe’s with the space they need to support their growing business. Lowes current 625,000 square foot space located at 3333 James Snow Parkway North will now be available to a new company waiting to join the Milton community. Every month the MEV Innovation Centre will be hosting an informal, and free, presentation on a topic of interest to the tenants, members and friends of the Centre. It is being held at the same time as the monthly Silicon Halton Day, where Silicon Halton members come to cowork as our guests for the day. It’s an open drop-in session, and all Milton entrepreneurs are also welcome to attend. You bring your lunch, we’ll bring dessert. Robert Maduri, President of Throwback Entertainment will be presenting. Cloud 3.0 is the brainchild of Throwback Entertainment, a successful video game development company. Recognizing that Halton region has quickly become a bastion of technological expertise, Throwback Entertainment has been engaging numerous partners to create a program to aid startup companies creating digital media applications. Our expectation is that the formation and growth of new companies will in turn further strengthen Milton's growing knowledge-based economy. The MEV Innovation Centre is a collaborative space for technology intensive and professional services companies to grow and foster their ideas, products and services. 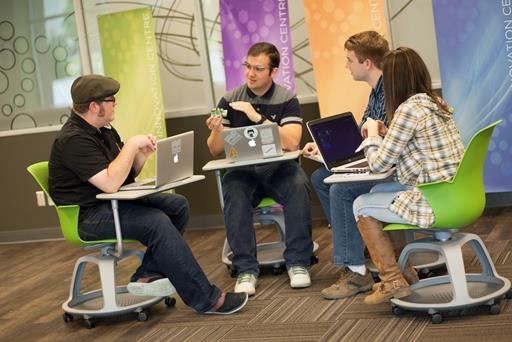 To learn more about the Lunch and Learn series or the MEV Innovation Centre, please visit MEVInnovationCentre.ca. The Milton This Way Up e-newsletter is getting a facelift! Our subscribers can look forward to faster updates and a dynamic new look starting next issue. The Town of Milton welcomes Medline as the newest company to call Milton home. The leading supplier of medical, surgical and pharmaceutical supplies is settling into their 278,000 square feet space at 8690 Escarpment Way. Medline's history dates back more than a century with experience servicing hospitals, surgical centres, nursing homes, physician offices, home health agencies and other health care markets. With the rapid growth of this sector, Medline has strengthened their focus on innovation having secured more than 160 patents globally. In 2013, Medline had the honour of ringing the closing bell at the NASDAQ Stock Market in New York in celebration of wining the Chicago Innovation Award for their BioMask, the first ever FDA-cleared antiviral medical face mask that is shown to inactivate flu viruses. To find out more about Medline, visit Medline.com. 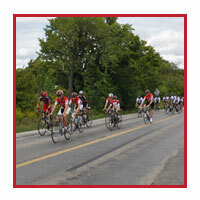 Watch the Halton Region website for more details. Milton recently wrapped up a successful run hosting the track cycling and individual time trial events for the Toronto 2015 Pan Am/Parapan Am Games. 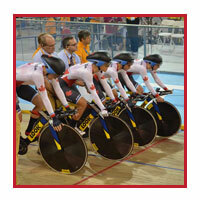 Track cycling and time trial events took place between July 16th to 19th and on the 22nd. Team Canada won seven gold medals on Milton soil and 13 medals in total, which included three new Pan Am Games records. 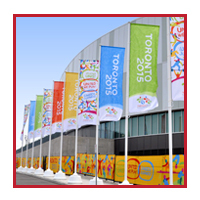 The Parapan Am Games, which took place August 7th to 15th were the largest ever held with 2600 athletes from 280 countries and territories completing. Canada’s Parapan Am athletes amassed 19 medals in events in Milton. 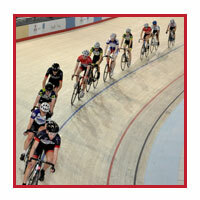 The velodrome received rave reviews from national and international media. In addition to cycling events, several local activities were enjoyed by the community. Over 400 community members attended a live stream of the opening ceremonies hosted at the Milton Centre for the Arts on July 10th and nearly 1,000 lined Louis St. Laurent Avenue near Bristol District Park to celebrate and cheer on international athletes during the Pan Am time trial events on July 22nd. Similar crowds came out to cheer on Parapan Am athletes at the time trial events on August 13th. 1. Monthly Building Report, Town of Milton Planning Department, Month End June 2015. 2. Toronto Real Estate Board, Market Watch Report June 2014, June 2015. 4. Labour Force Characteristics, Seasonally Adjusted, by Census Metropolitan Area 3 Month Moving Average Toronto CMA. June 2014, June 2015.